A will contest must be filed by an interested party. According to attorney Marc H. Weissman, an interested party includes anyone who would receive part of the estate if the will was not probated. An interested party may also be someone who would have received something under a prior will made by the deceased person, but not under the will going to probate. In some states, an estate's creditors are also interested parties. To dispute a will, an interested party must file a complaint in the probate court where the will is filed, according to FindLaw. 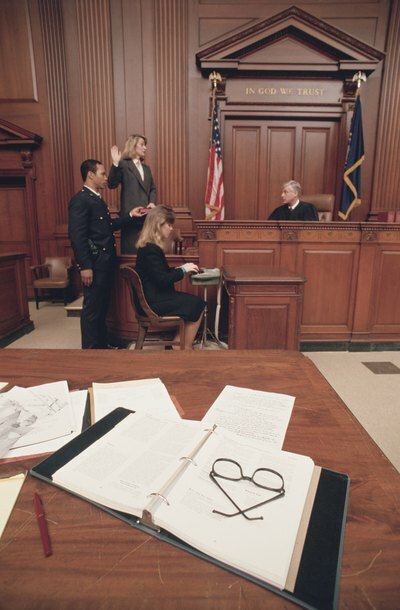 An interested party may contest the will by himself or may hire an attorney to help. The complaint should explain briefly what makes the person filing it an interested party. It should also explain briefly why the interested party thinks the will is not valid. Most probate courts offer forms or examples of a filing for a will contest, or you can consult an attorney with experience in estate law in your state. You should file a complaint against a will in probate as soon as you find out the will has been filed with the probate court, according to FindLaw. Most states have laws that limit the amount of time you have to file a will contest. In some states, you may only have a few months to file. If you do not file in time, your will contest may be dismissed. An attorney who practices estate law in your state can tell you how much time you have to file a will contest and may be able to help you file one. You have several matters to consider if you want to file a will contest. First, you cannot win a will contest merely because you do not like what you received. You must have a valid legal reason for thinking the will is not legally valid. If you do not state this reason when you file against the will, your suit will be dismissed. Also, many wills contain a "no contest" clause. This clause states that anyone who files a contest against the will and loses will give up her share of the estate. You should consider carefully whether the risk of losing your entire share of the estate is worth contesting the will. ABA Family Legal Guide: Is a Lawyer Necessary for Probate?